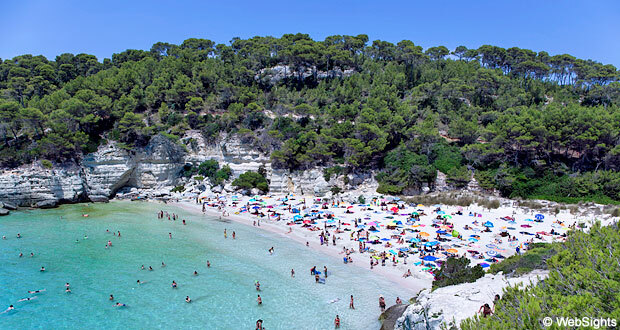 Cala Mitjana is located on the south coast of Menorca, only 1-2 km from the holiday resort Cala Galdana. A trip that takes approx. 30 minutes on foot. 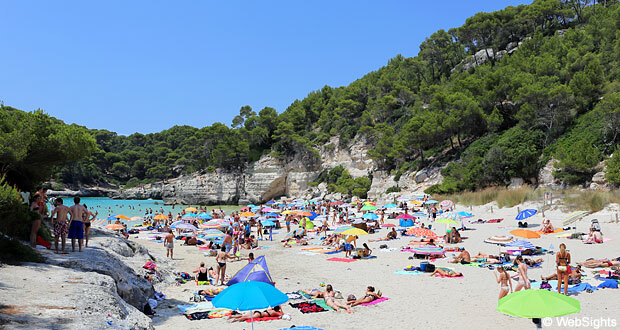 Cala Mitjana is a medium-sized, unspoiled natural beach, which is beautifully situated in a rocky bay. The beach has fine-grained, golden sand. The water is shallow and crystal clear with beautiful turquoise shades. There are usually no waves. There are toilets at the beach, but apart from that there are no facilities. Remember to bring plenty to drink. Approx. 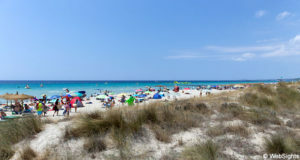 100 metres to the south-west, you will find the smaller Cala Mitjaneta beach, which you can walk or swim to. During the high season, the beach has many visitors, and you must park your car approx. 1 km from the beach. Outside the high season, you can park close to the beach. 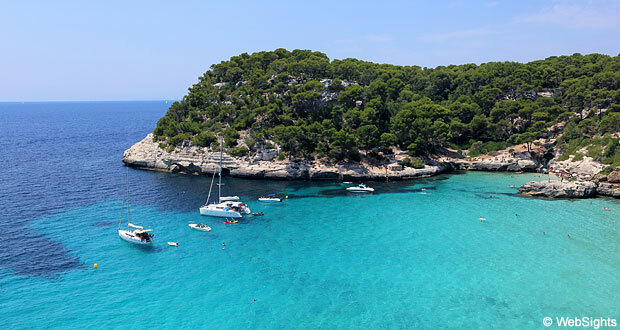 Cala Mitjana has very shallow water and is well protected inside the lovely rocky bay. So it is almost the perfect bathing place for children. During the high season, however, there is a 1 km walk from the parking space to the beach. There are no water sports activities at the beach, but the snorkelling conditions are excellent. There are no restaurants, beach bars or kiosks by the beach. 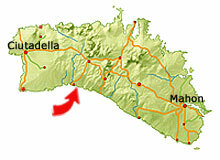 The holiday resort Cala Galdana is located less than two km from Cala Mitjana. 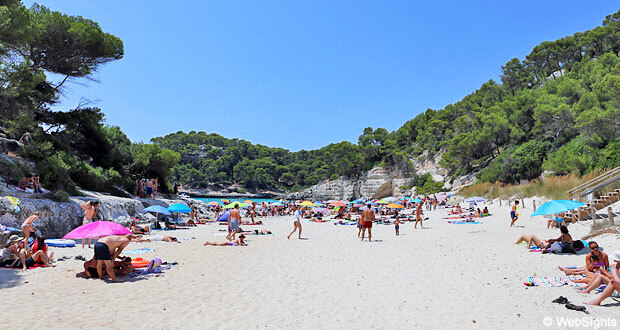 Cala Galdana is a lovely and popular holiday resort with plenty of hotels, restaurants and shopping facilities. 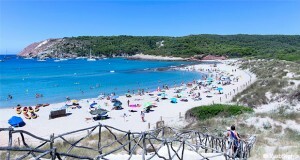 There is also a large beach in Cala Galdana.